1. Kill the association magazine flipbooks. I’ve always hated the idea that you can take a print publication and slap it online as a pdf or “interactive” flipbook and call it day. I didn’t like it in 2009; I don’t like it now. And I don’t think your members do either. These flipbooks are wonky to use; each one zooms and flips differently, and this is not how magazines are meant to be read. So I was glad when Kim Caviness, EVP, chief content officer, at Imagination, told attendees that flipbooks do their associations no favors. Besides the horrible user interface, flipbooks are also not as SEO friendly as html pages. This means you are losing out on directing members and non-members alike who are searching for specific topics. There’s a better way. 2. Create content hubs now. Imagination has its own content hub. ASAE’s Associations Now magazine is another good example of a content hub. American Express OPEN Forum is a famous example. Think of your content staff as a mini newsroom. You are covering the news of your industry in real time. The best content hubs take advantage of large photos and compelling headlines, while staying on top of the news that matters most to your members each day or week. Establish set topics or tags for your content hub and slot all articles accordingly. Connect your content hubs to social media, and mine social media for ideas, member comments, keywords and sources. 3. Rethink your association brand. During an exuberant keynote, business strategist Shama Hyder, CEO of The Marketing Zen Group, updated us on social media trends. One that stuck with me is that the No. 1 reason people use social media is to showcase their own identity. Even those who don’t use social media for their career are still building their brand. This means that associations shouldn’t ask what their own brand is. Instead, they need to reframe the question: What does being a member of your association allow members to say about their own personal brand? A great example is the ALS Association’s Ice Bucket Challenge. That viral campaign showed people’s fun and altruistic side at the same time, with barely a mention of the association. Bonus takeaway: Small tweaks to a conference can yield big results. This lesson is not from any session and isn’t about content. But it is about communication. Most of the ASAE session rooms were set up with round tables, not rows of chairs. I’m an introvert who attends four to five conferences each year. I have to summon up the courage to approach strangers, even those sitting inches away from me in a row of chairs before a session. 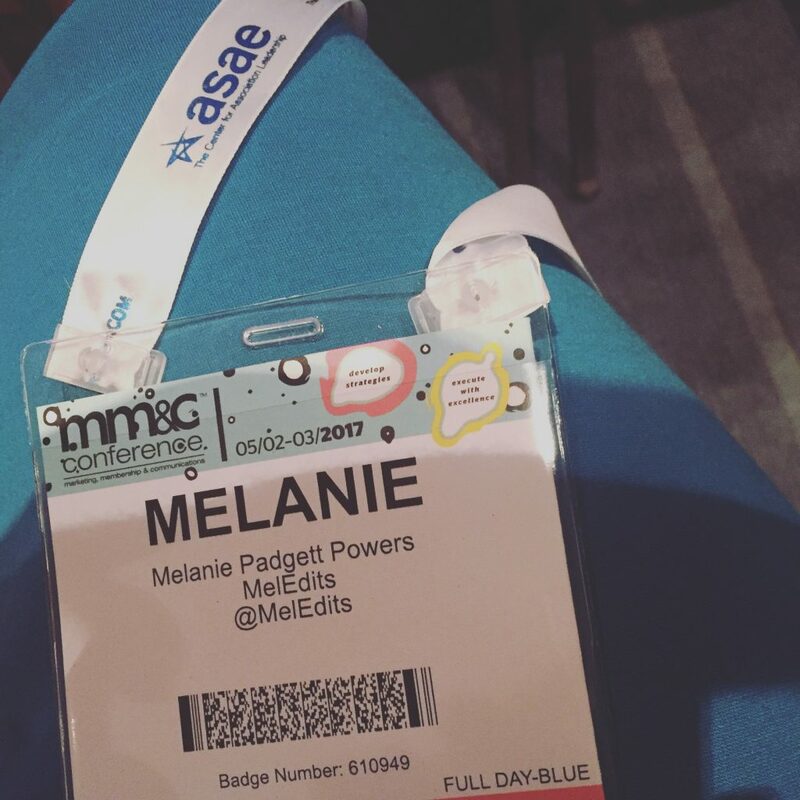 However, ASAE’s small change in the usual conference setup shifted my brain somehow and made me more prone to introduce myself to the person sitting next to me. Most of the people I met for the first time were because of the table setup. It also allowed speakers to spontaneously ask attendees to discuss a topic with the people at their tables in the middle of a session. Consider small ways you can reach out to different types of members—introverts, extroverts, new members, leading executives, millennials, Generation X. What new lessons have you learned lately about association content and communications? Please share in the comments below. submitted and say, I’m thoroughly enjoying your blog. I as well am an aspiring blog blogger but I’m still new to the whole thing. Hi, Glad you’re enjoying my blog. My biggest struggle is making the time to write blog posts, so I think it’s important to remember that you don’t have to write in-depth, super long posts. You can write a few paragraphs here and there when the inspiration arrives. But on the flip side, it can be helpful to schedule blog writing on your calendar just like you do with other required tasks and meetings. When you are deciding what to write, you need to know your audience and your goals. Who are you writing for and why? Are you trying to get new clients? Expand your network with fellow bloggers? Your blog posts should align with that audience and goals. Good luck!